Avid viewers of series six of BBC’s The Apprentice saw aspiring young men and women competing to impress business supremo Lord Sugar and become his new apprentice for 2010. As well as the boardroom backbiting, the BAFTA award-winning reality television series is well known for its superb production and panoramic views of London. 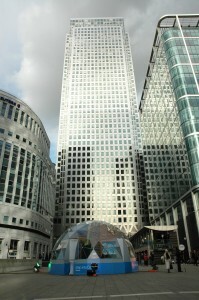 Solardome Industries was therefore delighted that a Solardome® glasshouse was chosen to feature as part of the footage. 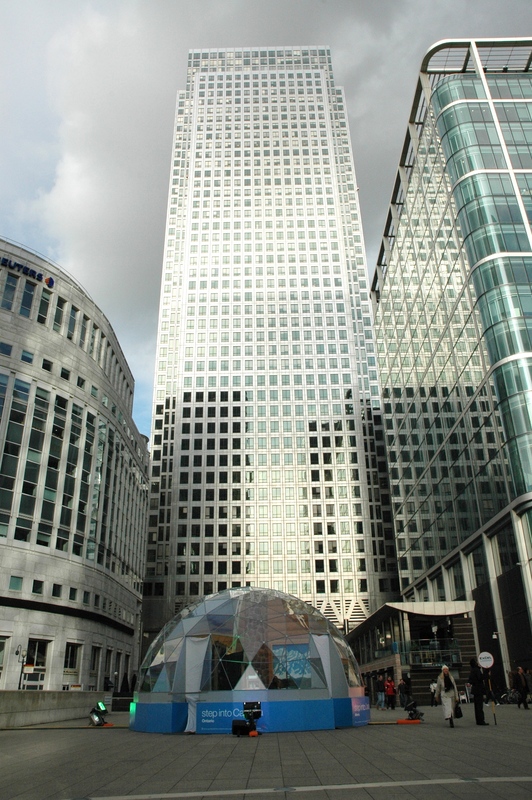 Two episodes of the 2010 series featured a bespoke SOLARDOME® Sanctuary (7.75m) which had been ‘hired’ by Engage, an exhibition design company as a venue to promote the Canadian tourist office outside Canary Wharf station. SOLARDOME® geodesic domes for commercial applications are designed as robust outdoor environments to be used for community gardens, research units, visitor attraction cafes or shelters and wellbeing centres. All of Solardome’s commercial domes allow the end user to enjoy the feeling of being outdoors with the benefits of natural light and protection from the elements. This bespoke dome featured three entrances around the dome to allow those interested to enter inside the dome and see more information about the various Canadian states. Solardome® glasshouses are perfect for transforming any exhibition into a unique, attention-grabbing and modern space. They are ideal for mid to long term outdoor displays or short indoor exhibitions.